Dana Yuengling, colorist, graduated from Empire Beauty School in 2011. 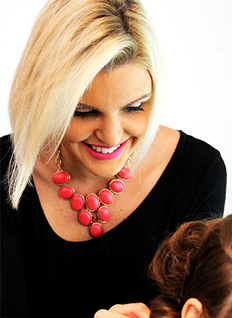 Dana began working at the salon as an assistant in 2010 and trained under Senior Master colorist Suzanne Sauder. Dana takes advantage of as many educational experiences as she can, including L’Oreal Master Colorist Classes, a class with balayage expert Min Kim, and also many updo classes. Along with being a colorist, Dana is passionate about doing updos for special occasions.